Members of the media should direct inquiries to (213) 740-9492 or cppp@usc.edu. Faculty in the Sol Price School of Public Policy with expertise in specific areas of philanthropy and the nonprofit sector are available to talk with members of the news media. 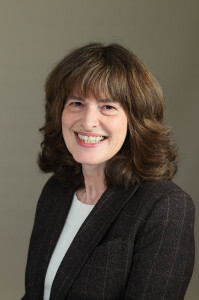 Eleanor Brown is The James Irvine Professor of Economics at Pomona College, where she earned her bachelor of arts. Brown received her master’s and Ph.D. degrees in economics from Princeton University. She has been affiliated with USC’s Center on Philanthropy & Public Policy for over a decade. In business, the value of networks and collaborative partnerships has long been clear. Today, research being conducted by Nicole Esparza is demonstrating the wisdom of extending those partnerships into the philanthropic realm. “As a nonprofit, who you’re networked with can boost your success in getting grants or other outside support,” Esparza says. It’s a crucial point for both grantseekers and grantmakers alike. “If you’re a nonprofit and you choose to collaborate with another charitable organization that is more established and has a good reputation, you’re in a better position to secure funding,” Esparza notes. By the same token, funders looking to maximize their impact benefit from fostering relationships between diverse grantees. “Foundations and government entities are learning that encouraging grantees to hold joint meetings and share board members can make them more effective in the long term,” she says. Esparza is Assistant Professor at USC’s Sol Price School of Public Policy, where she teaches courses on public policy and management and program evaluation. She received her Ph.D. in sociology from Princeton University. Duquette’s research uses the tools of economics, politics and history to trace the development and behavior of nonprofit organizations, and he teaches courses in nonprofit management and social innovation informed by an interdisciplinary perspective. He is currently researching the adaptations of charities to changes in government grants and tax subsidies, with particular focus on the changes brought by the Johnson-era War on Poverty. 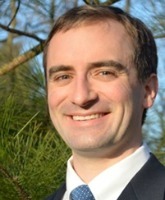 Duquette is an Assistant Professor at the USC Sol Price School of Public Policy. He graduated with a Ph.D. in economics from the University of Michigan. James Ferris is passionate about leveraging philanthropy to solve public problems. By engaging with government, he says, philanthropic organizations and individuals can influence policy to strengthen the fabric of a community and promote the welfare of its members. 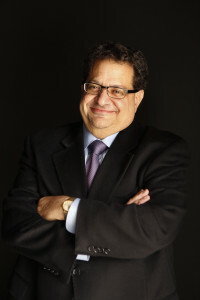 “As a result of shared learning from the broad array of philanthropic strategies,” Ferris observes, “we expand our understanding of what is possible in terms of how philanthropy can create meaningful policy and systems change.” His groundbreaking work sheds light on foundation strategies for leveraging their assets, knowledge and networks to influence public policy. This work is being extended to examine new efforts to develop strategic partnerships that bring philanthropists and government together in pursuit of the common good. Ferris is the founding director of the Center and a professor at USC’s Sol Price School of Public Policy. He also holds the Emery Evans Olson Chair in Nonprofit Entrepreneurship and Public Policy. He, along with Eleanor Brown, won the 2008 Association for Research on Nonprofits and Voluntary Action Award for Outstanding Article in the Nonprofit and Voluntary Sector Quarterly for their article: “Social Capital and Philanthropy: An Analysis of the Impact of Social Capital on Giving and Volunteering.” In addition to his research, his experience as a member of the editorial board of key journals and an advisor to various national nonprofit groups and international agencies such as the World Bank, Ferris has developed international renown for his expertise in philanthropy and the nonprofit sector. He received his Ph.D. in economics from the University of North Carolina at Chapel Hill, and his B.A. from the University of Florida. As a researcher investigating the private sector’s role in public services and functions, Elizabeth Graddy has developed a highly sought-after expertise: how to structure relationships among diverse organizations to make them effective in addressing societal problems. One way public and private organizations can collaborate is through community foundations, which Graddy says can serve as a catalyst for social change – but only if they are able to sustain the charitable support of their communities. “Per capita gifts to community foundations increase with the level of social trust in that community,” Graddy says. This finding, and others resulting from Graddy’s work, offers guidance to community foundations on the importance of building trust to foster social solidarity and inspire collective action. Graddy’s pioneering research also includes a focus on emerging community foundations in East Asia. Graddy, affiliated with the Center since its inception, holds the Jeffrey J. Miller Chair in Business, Government and the Economy and serves as Vice Dean of USC’s Sol Price School of Public Policy. She received her Ph.D. from Carnegie-Mellon University. Grantmakers are making a push to be more impact and outcome-oriented, however much is still unknown as to how we operationalize these goals and develop innovative solutions to important social problems. Goal-oriented philanthropists are incorporating new strategies to their practice, collaborating with other nonprofits, taking an active role in the grantmaking process, and measuring their outcomes. Grounded in theories of public economics, institutional change, and innovation production, Alexandra’s work examines these evolving strategies of grantmaking and their relative effectiveness so we may better understand the paths to social innovation. 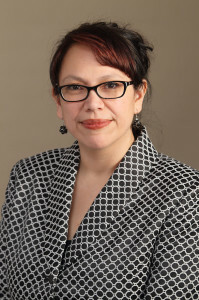 Her current research involves evaluating the effect of competition between grantmakers on outcomes to assess if it promotes or deters innovation. Alexandra will be joining USC’s Sol Price School of Public Policy as an Assistant Professor in August 2015. She will teach course on the theories and policies of nonprofits and social innovation. 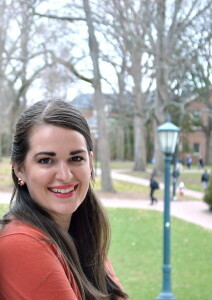 Alexandra will receive her Ph.D. in public policy from the University of North Carolina, Chapel Hill in May 2015. Over the course of a highly distinguished career, Knott has achieved national renown for his policy expertise. 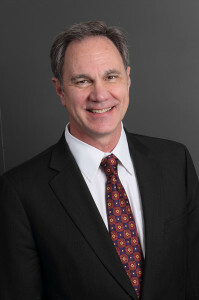 He is Professor and the C. Erwin and Ione L. Piper Dean of USC’s Sol Price School of Public Policy. After receiving his B.A. in history from Calvin College, Knott received a master’s degree in economics and comparative politics from the School of Advanced International Studies at Johns Hopkins University and a Ph.D. in political science from the University of California, Berkeley. Around the globe, nonprofits work to improve people’s lives and to strengthen civil society. Yet, says Shui-Yan Tang, when it comes to how they go about it, geography is often destiny. 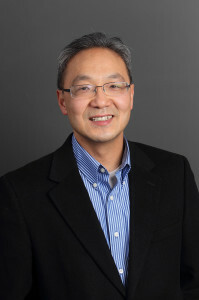 His research into the development of non-governmental organizations (NGOs) in China reveals an unexpected link between organizational effectiveness and connectedness to government systems. “In the United States, most nonprofits would be reluctant to criticize the government if they have long-term government contracts,” Tang says. “But in China, it’s just the opposite: those with stronger personal and professional ties to the party tend to be more vocal because they are less fearful of being labeled as anti-government.” As Tang puts it, forging a close relationship with the reigning political authority can dramatically impact the effectiveness of Chinese NGOs in areas ranging from environmental protection to HIV care to poverty alleviation. At USC’s Sol Price School of Public Policy, Tang is the Frances R. and John J. Duggan Distinguished Professor in Public Administration. He graduated with a Ph.D. in public policy from Indiana University.